Although my writing focus is on poetry at the moment, I continue to practice some of the writing tools I have found useful. One of these is reading the news with an eye to an interesting or unexpected story. As someone deeply engaged in politics I also read political blogs and websites to understand different responses to those stories. This is proving to be a real eye opener – although I don’t agree with many responses I have a much better comprehension about why some people want to see the world structured in particular ways. From the human, bloggers for peace, point of view, understanding is imperative to social cohesion. From a writing point of view, it’s a great way to test out characters. You can take any character you have written and imagine them reading a post. What do they think? How do they react? Is the topic something they would have a strong reaction to or discuss with friends? What is their political point of view? Are they engaged with current affairs, do they watch the news or read a paper? You might never write about anything of this nature but it doesn’t matter: the better you know your character, the more believable and consistent they will be. So if you find yourself reading something which doesn’t reflect your view, take a chance on it, and read through the eyes of your character. It might provide the spark of engagement you need to find. Last week I told you I was reading to explore feeling as an element of setting. I didn’t get to the poetry part of my reading but I did finish the novel: The Fault in Our Stars, by John Green. If I am being completely honest, I stopped reading with purpose very early on, as I was enjoying reading the story so much, but I did pick up on a few elements. For those who don’t know the story, it is a love story which starts in a cancer support group for kids. Hazel is terminally ill but in limbo thanks to her drug regimen, and Augustus had bone cancer which cost him his leg. The reason this is important is because feeling in the book was often about the impact of illness: Hazel can feel discomfort in a location based not only on the place but on her physical symptoms at that time. We are led as readers to think about physical bodies in different ways throughout the book – the Literal Heart of Jesus, which is where the support group meets, the tickling in Hazel’s nose as she breathes in the oxygen from her tank, the crooked smile of Augustus, the elements people have lost due to treatment. Importantly, though the characters have a high degree of charm and intelligence and a verbosity above that of most teenagers they are ‘normal’, if such a thing exists. They are people who happen to have or have had cancer. It is part of them but not them. I don’t feel this book will help with the elements of setting I want to develop but I do think the thematic device of exploring the physicality of a scene is another way to approach the subject which is new to me. It is also a great example of how to write characters who come to life for the reader. I have never read a book with so many jokes about illness and its consequences, and the reason it works and doesn’t offend is because the characters are so genuine and you can truly imagine the slightly unnerving banter being accepted in this group. It is very cleverly done because however risky the jokes, the characters maintain their likeability. It’s a good example of how important the consistency of a character is for the effective telling of stories. I may refer back to this book when I focus on characters. I said last week that I was going to approach the Challenge Tuesday posts a little differently this year, and read with purpose. I actually started reading this particular book in December but feel that it meets my new criteria so am reporting on it anyway! Alias Grace is a novel by Margaret Atwood, who is one of my favourite writers. It is a fictionalised story based on the true life character of Grace Marks, who was convicted with her alleged paramour of the murder in 1843. 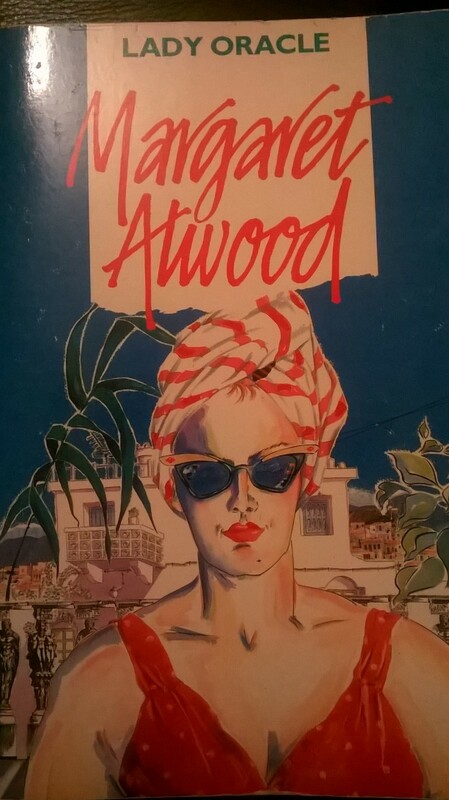 I enjoy Atwood’s writing style, which is both complex and entirely accessible. In this particular book though, it wasn’t the style but the approach that I found so intriguing and noteworthy. There were two murders for which Marks and James McDermott were accused: the killing of Thomas Kinnear, their employer, and of Nancy Montgomery, the housekeeper and likely lover of Kinnear. Montgomery was pregnant at the time of her death, which at the time stood against her: although the pair were convicted of murdering Kinnear, there was no trial for Montgomery. As the death sentence had been passed there was deemed to be no need. In fact, Marks was not executed but was pardoned in 1872. But despite all the dramatic possibility within these elements Atwood doesn’t focus on them. They set parameters in which the character’s experience of the world is set, but they are not the core of her story. Instead we are presented with a (fictional) doctor whose interest in what we would now call mental health leads him to meet with Marks, to see if her amnesia about the events of the fateful day is real. What follows is a mixture of Marks’s life story, interwoven with the doctor’s experiences in the town he has taken up residence, and some of the well-meaning but somewhat frivolous people who are trying to get Marks pardoned. The crime itself is only described in any detail during a session of something akin to hypnosis. Marks is humanised through the book. Her reflections on what is ‘proper’ behaviour for staff in a household are both ironic and heartfelt: her regret with regard to her own breaches of etiquette is completely believable from the character Atwood has created, and yet we are aware the doctor is only interested in understanding her because she is a notorious murderer. As a whole, the book could be the biography of a murderer, or about a famous crime in Canada in the 19th century, or about life in service, or about mental health. It is all these things and none: it takes elements from multiple genres to create a rich meal. Fundamentally, as a reader I took away the fact that in a strong story the crime itself doesn’t need to be the focus, it is the criminal (or accused, at least) who has to be deciphered. As a writer, I have a better perception of how to take a real event and cast it under a fictional light. Extremely satisfying, on both counts! Wow, I’m 2 for 2 now! Book 39 – The Guernsey Literary and Potato Peel Pie Society by Mary Ann Shaffer and Annie Barrows. Juliet is a writer looking for a new story and something to inspire her in post-war London. Out of the blue she received a letter from a man named Dawsey Adams, who has come into possession of an old book of hers. He lives on the island of Guernsey which has been occupied during the war and the islanders are only just able to communicate with the outside world after years of isolation. Juliet is intrigued and thus begins a fascination with the island, the people and their experiences of war, which fundamentally changes her writing, and her life. The story is told primarily through letters between Juliet, her publisher, and the islanders, with a few others thrown into the mix here and there. Although some people only feature in one or two of the letters the whole creates a full and complex world. The experiences of war are summed up through loss and missed opportunities but also in great strength and humanity. One of the most touching elements of the book is that one of the key characters is never actually seen, but lives on the page through the comments and reminiscences of others. I bought this book and lent it to my mum before I read it – who proceeded to read it and then read it again straight away before I got it back, so I was intrigued how I would take to it myself. I have to say that I found it witty, warm and spirited, with characters who often came alive in a way that would have been difficult with a different style – for example face to face meetings or different narrators. There were side stories, characters who came and went in just a few words, and a sense of the complexity of life and humanity in the face of evil. It is a book I have no doubt I will re-read in the future; I liked Juliet and her intelligent, funny and self-depreciating approach to life and the sense of hope for a future after the bleakness of the war. It’s sad that Shaffer only wrote one book because her style and voice are very readable and enjoyable. I’ve only gone and read a book! Book 38 – Chocolat, by Joanne Harris. This book follows Vianne Rocher and Curé Francis Reynaud, as their lives interweave through Lent in a small village in France. Vianne is exotic, mysterious and beguiling and the chocolate shop she sets up soon becomes a beacon for changes in the village. Reynaud is threatened and angered by her hold over the villagers and the way she has enabled change to develop in the community. I hadn’t planned on reading anything this week but it felt like I was missing something and so I decided to pick up a new novel. I previously read the opening paragraph and put this down again, thinking it was going to be a bit overblown. Happily I gave it a second shot because I really lost myself in Vianne’s world. There are lots of interesting characters and some seriously dubious behaviour, but if this whole book had been nothing more than Vianne exploring the world through the judicious application of decorations it still would have been worth reading. Vianne is one of those characters who infuse a book, where you can see her impact and power even when she’s silent. She makes things happen, she’s wild and magical, she’s as decadent and alluring as her products. Reynaud’s viewpoint chapters, on the other hand, didn’t do much for me – they moved the story on, gave our heroine a force to fight against, but they weren’t nearly as much fun to read. I suppose if she is chocolate, he is vinegar. The two swapping narrator roles meant there was force and resistance in the narrative but the attraction for me as a reader was Vianne, and it was always a little bit underwhelming when she wasn’t leading the storytelling. However it also showed that her slightly unreal view of the world was closer to the truth than Reynaud’s tale or his flock’s confessions. As you can probably tell, it was the character that drew me in, her worldview, experiences and understanding shaping an entirely new set of people from their original material. The storyline as a whole had a lot going for it but it is Vianne who makes it work. This is worth reading, particularly for ideas about character. Plus, it’s about chocolate and that’s never a bad thing!